Imagine the beautifully ornate coving in your home has taken a knock. 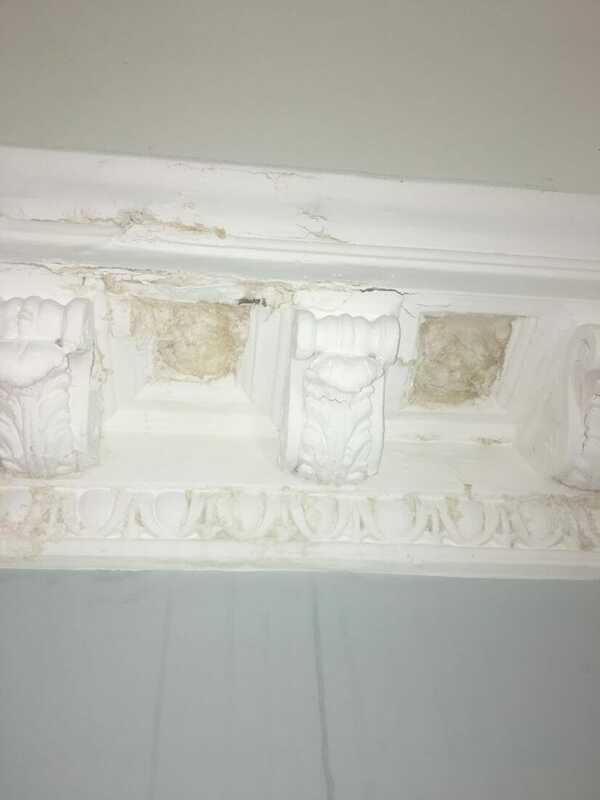 Maybe it’s simply part of the process of aging; or maybe, as was the case with this Georgian house we recently worked on, some kind young upstart has stolen the lead from your roof, and the seepage has left your coving looking like a set of crushed molars. Not to mention leaving the paint below worn-down to resemble a world map. It seems reasonable to assume you’d not be best pleased! So of course, you want it fixed pronto. Easy. But what if, like this family in Harrogate, you can’t really afford to have the whole wall repainted? Well, one solution would be to give up. Tell yourself beaten up walls give a room ‘charm’ or ‘character’. But that’s not the kind of solution we go for! Instead, we worked around the family’s budget. 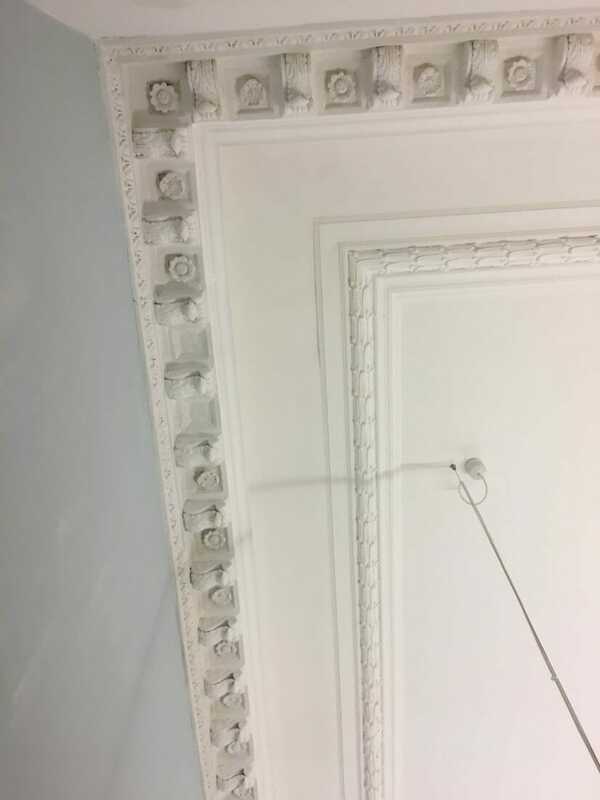 First thing’s first, we repaired the coving with surgical precision. So far so easy. But then we had this budget problem to contend with. So first, we got rid of all the faking paint and plaster, then treated the problem areas with a stain block. Then we simply matched the new print we were using to the old, so that a full paint job wasn’t necessary. Turns out, a little bit of thinking and attention to detail can save you time and money. 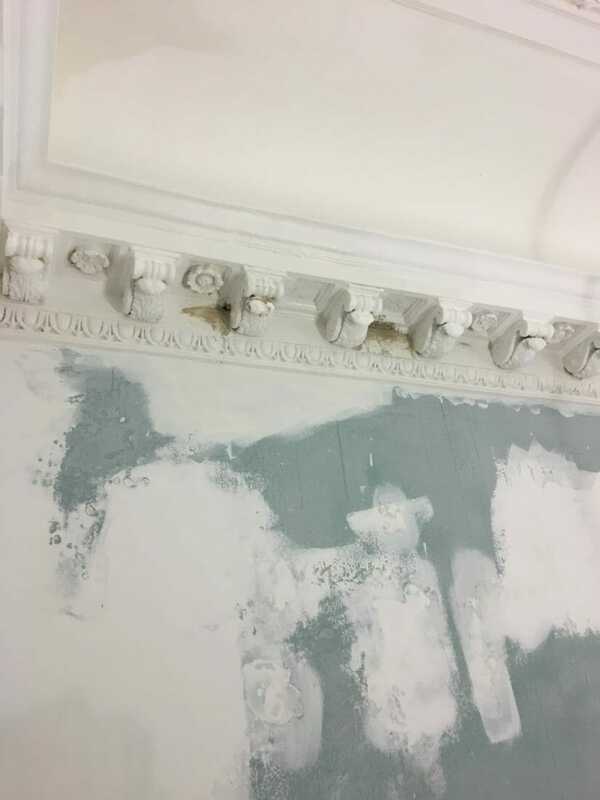 Oh, and leave your walls looking good as new too! The best part of painting and decorating is helping make people’s houses feel like home again, and we left this family with a room that was back to how it ought to be. They said they were impressed by how efficient the services was and how friendly we are. And we left knowing we’d helped fix something that should never have been broken. 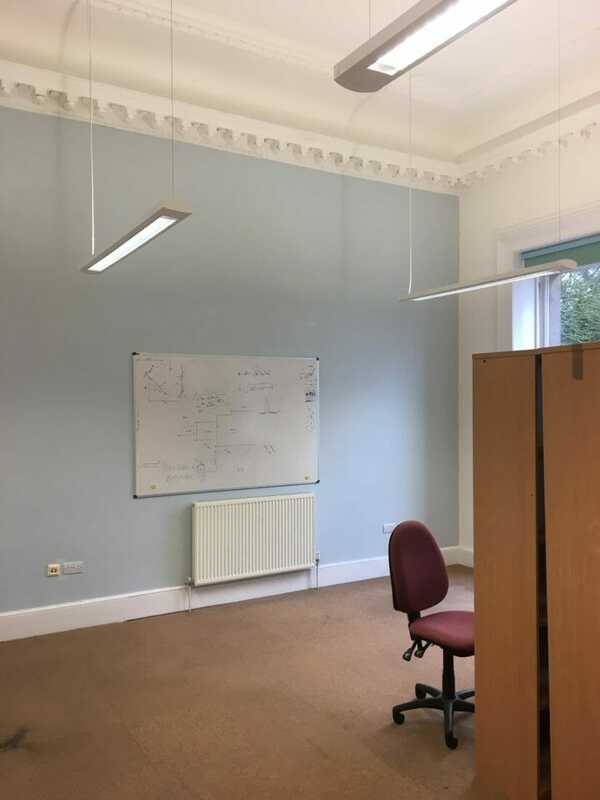 Commercial decorating in Leeds by the professionals! A year of decorating tips from Rushton & Co.